Phthisical eye : A condition of the eyeball that may result from injury when the eye loses function and shrinks in size. Background: She was only 15 months old when her eye became infected, then discoloured and phthisical. 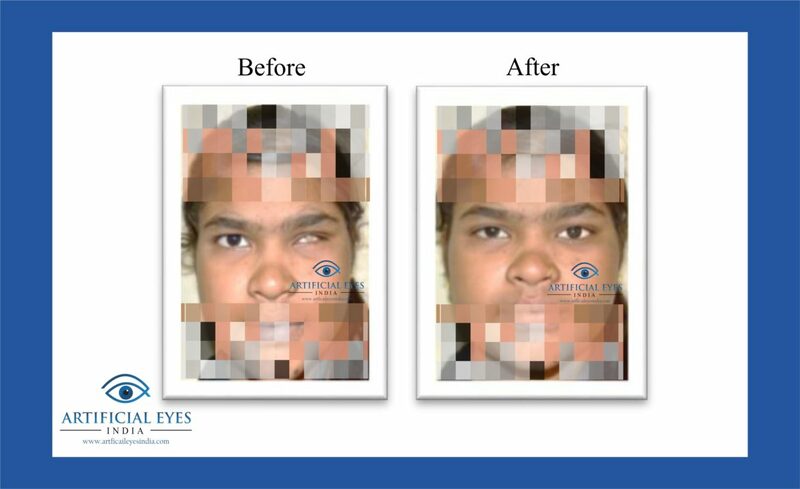 Since then she was not wearing any prosthesis which led her eye shrink to a very small size. I just cannot find an adequate way to express my feelings – quite unbelievable that after so many years, I actually do feel I have two good eyes. I can forget all about it – go chatting with friends and family, etc. What a relief! Thank you so much. I wish you all the very best.